Thed: “The speed in my car, I felt it in Race 2 so I didn’t want to risk anything, just finish it and do this race. I was flying. I love the streets in Vila Real and I was just flying." Yann Ehrlacher battled to a pair of top-10 finishes on the streets of Vila Real to keep himself in contention for the WTCR – FIA World Touring Car Cup. The Frenchman and his ALL-INKL.COM Münnich Motorsport team-mates Esteban Guerrieri and James Thompson were innocent victims of a major opening-lap incident on Saturday that involved nearly the entire 27-car grid. While Esteban’s car was able to take Saturday’s re-started race, the Honda Civic Type R TCRs of Yann and James looked beyond repair. Incredible work overnight by the German team miraculously returned Yann’s car to near-showroom condition, enabling him to qualify fifth and finish the day’s two races in seventh; results that keep him second in the championship at the season’s midway point. After finishing second on Saturday, Esteban’s car suffered a mechanical issue in qualifying that restricted him to 19th on the grid. Having been put into the wall in Race Two by another driver, the Argentinian had to start Race Three from the back and came home 13th; the allowed ‘repair time’ not being sufficient to fix the damage to the left-front corner. James’ car was unfortunately too-badly damaged to fix on-site. Belgian teenager Benjamin Lessennes scored a fine eighth place in Race Three for Boutsen Ginion Racing. Having started 12th, he took his joker lap early. His team’s canny strategy paid off as several safety-car periods meant that the majority of the field were forced to wait until the final lap, which gained him four places in one go. Team-mate Tom Coronel showed top-six pace in morning qualifying, but was unlucky to suffer front punctures in Q1 and both races, which ended his chances of adding to his points total. Portuguese wildcard Jose Rodrigues kept his nose clean as attrition levels were high. Driving an older-spec Civic Type R TCR, the Target Competition racer qualified 23rd and finished Race Two in 16th place. He was on the verge of a points-scoring top-10 finish in Race Three when he sustained a last-lap front puncture, which put him in the wall. 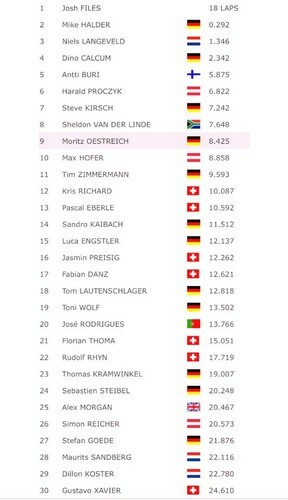 Although he did not cross the finish line, he was classified in 15th spot. 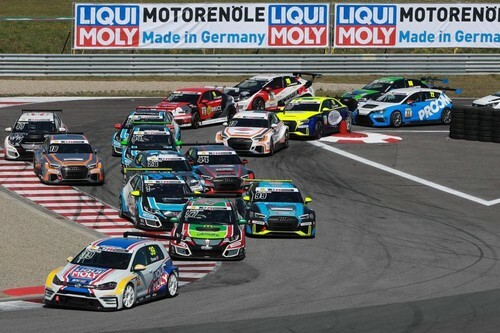 The next WTCR round takes place at the Slovakia Ring near Bratislava, on July 13-14. Honda’s WTCR – FIA World Touring Car Cup customer teams are braced for action as the series moves onto the spectacular Vila Real street circuit in Portugal this weekend. At 4.8 kilometres in length and with laptimes of over two minutes, the Circuito Internacional do Vila Real is one of the longest on the WTCR calendar and will provide a huge challenge for the drivers of the six Honda Civic Type R TRCs contesting the city-centre event. A win and a second place at Zandvoort last month put Yann Ehrlacher on top of the Drivers’ Championship and moved ALL-INKL.COM Münnich to the head of the Teams’ points race. With a nine-point advantage over his nearest rival, the Frenchman aims to maintain the momentum that has delivered two victories and nine points finishes from the 12 races held so far. His Argentinian team-mate, Esteban Guerrieri, has a win and one further podium to his name in 2018. He knows that three solid points finishes are likely to move him up from his current seventh spot in the points table. Fellow Münnich driver James Thompson raced at Vila Real in World Touring Cars in 2016 and is aiming to use that experience to his advantage after scoring his first podium of the season at Zandvoort last month. 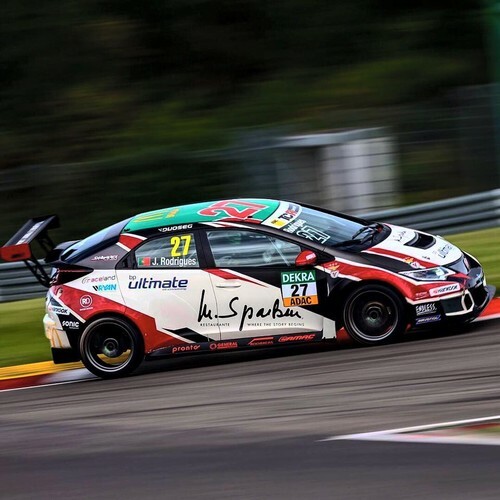 Benjamin Lessennes has been one of the stars of the season; the 18-year-old TCR Benelux Champion stepping up to world level for the first time with Boutsen Ginion Racing and achieving three top-five finishes already. 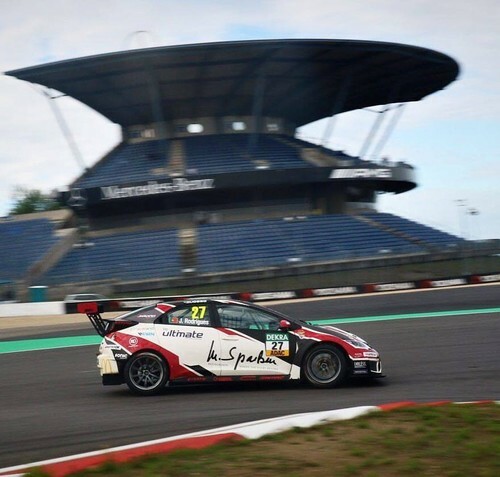 This will be the young Belgian’s first time racing at Vila Real, but he will have Tiago Monteiro on hand for assistance while the local hero continues his recovery from injuries sustained in a testing incident last year. His team-mate, Tom Coronel, was victorious on Vila Real’s streets in 2016, but missed last year’s Portuguese races due to a practice incident that left his car with irreparable damage. After scoring his best result of the year with seventh at his home event at Zandvoort last time out, he’s determined to carry that momentum to the challenging Portuguese street circuit. For the third time in 2018, a sixth Honda will be on the grid as a wildcard entrant. In Portugal it will be Tiago Monteiro’s protégé, Jose Rodrigues, who will be run by Target Competition. 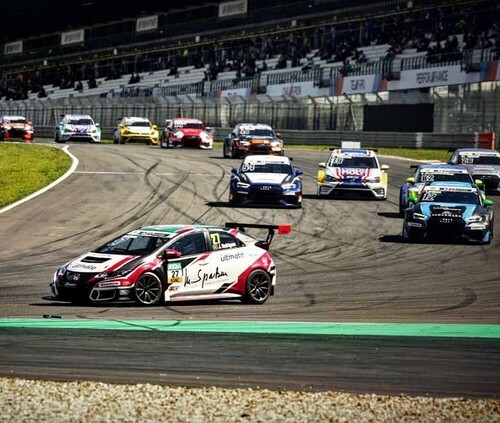 The Vila Real event marks the WTCR debut for both; TCR Italy regular Jose having raced at the circuit last year in the FIA European Touring Car Cup in a Honda Civic Type R TCR, and Target having won back-to-back TCR Germany titles with Hondas in 2016-17. Uniquely, the Vila Real circuit is the only one on the WTCR calendar to feature a Joker Lap. This rallycross-inspired concept is an additional section of track that all drivers must use once during each race; the aim being to increase overtaking. 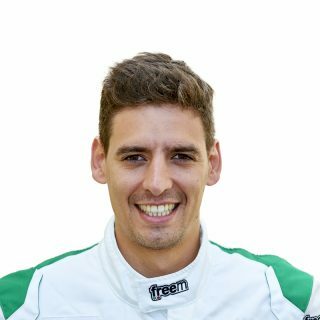 José Rodrigues foi hoje confirmado como o segundo wildcard na prova de Vila Real da Taça do Mundo FIA de Carros de Turismo (WTCR) que assim se junta- a Edgar Florindo, como os dois pilotos convidados para esta prova. Todos juntos faremos uma grande festa...!" Dia 1 em Nürburgring! Primeiros treinos livres serviram para conhecer pela primeira vez este traçado. Pelas 10:45h portuguesas, treinos livres 2. 🇵🇹Má qualificação! Infelizmente, não consegui juntar na mesma volta os meus melhores sectores, e neste campeonato paga se caro. 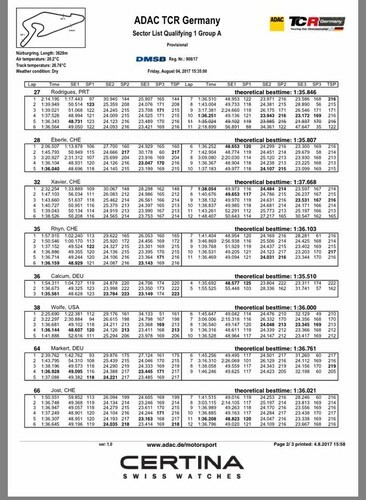 A qualificação oficial ainda não saiu, mas devo estar no meio do pelotão de 40 carros. Amanhã é um novo dia, não temos outro remédio... ATACAR! 🇬🇧Bad qualification! Unfortunately, I couldn't join my best sectors on same lap, and in this championship paid dearly. The official qualification hasn't yet come, but I should be in the middle of the 40-cars. Tomorrow is a new day, we have no other solution... ATTACK! P20 foi o resultado possível na corrida 1! Azar logo na primeira curva com um adversário acertar-me em cheio, mas fomos à luta e, conseguimos acabar nos pontos!!! 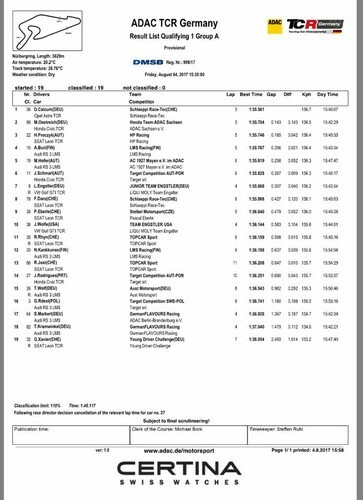 P20 was the possible result in race 1! An opponent hit me in first corner but we fight and we managed to finish in the points !!! 6 fim‑de‑semanas de corridas, dois campeonatos, 12 corridas em dois meses. Muito feliz ter estado presente num dos mais competitivos campeonatos do mundo, mas acima de tudo ter crescido muito. Devo isso a quem acreditou em mim, aos patrocinadores, à familia, ao amigo e manager Tiago Monteiro, à Targetcompetition e sobretudo aos que me acompanham (Eduardo Viegas e Rui Coelho) desde sempre nesta alucinante escalada no automobilismo. Só temos de estar satisfeitos e orgulhosos pelo nosso trajecto, num campeonato onde a competitividade é impar, o nível é profissional, as pistas eram desconhecidas, e existiam mais de 40 talentos de muitas nacionalidades. Conquistámos um 4o, um 6o, um 8o, um 11o e dois 20o, e três passagens a Q2, mas acima de tudo crescemos a todos os níveis. No Europeu em Vila Real, conseguimos demonstrar com o pódio que estamos fortes em qualquer campeonato!